If they thought about it, a lot of people would think driving in Maricopa County, AZ while using a prescription drug as directed is legal. It’s not. It may seem that taking your medicine and driving to work or even to a doctor’s appointment is rational, but it can get you arrested for driving under the influence (DUI). Just like drinking and driving, Arizona has a zero-tolerance policy for prescription medications and the level of impairment is measured by the “slightest degree.” That can be defined as starting to feel a little different than usual. Prescription-only drugs are defined in ARS 13-3401(28) as medications recognized by the medical community as safe when taken as prescribed by a doctor. The law requires proper labeling with directions for using the drug. Prescription drugs under the law don’t include narcotics or dangerous drugs. Many prescription medications warn against operating machinery, such as vehicles. Most DUI arrests for prescription drugs involve medications to help you sleep or reduce anxiety but also include arrests for using Codeine, Norco, Percocet, Valium or Vicodin. Of course, not all of the medications your doctor prescribed are going to cause a level of impairment. Even drinking the fermented kombucha tea (containing sugar, bacteria, yeast, and herbal supplements) has a small amount of alcohol, 0.5 percent by volume. That’s enough to register on a breathalyzer and get you into legal trouble. Determining an impairment while driving that was caused by a prescription drug requires special training. Arizona law enforcement has established a training program for officers as drug recognition experts (DREs). They are summoned to DUI field investigations. Driving impaired by a prescription drug means the possibility of facing one of two charges. First is the allegation that you were impaired by the drug under ARS 28-1381(A)(1). Next is the fact that you were driving and had the drug in your system under ARS 28-1381(A)(3). For a first offense for driving impaired using prescription drugs you will be charged with class 1 misdemeanors, the most serious of the misdemeanor offense. A second offense under the Arizona statutes within seven years from the first elevates the charges to a far more serious misdemeanor charged because jail is greatly increased. Three DUI convictions in 84 months will be filed as a felony, which requires a prison sentence. A prescription drug DUI charge has the same penalties as a misdemeanor driving under the influence of alcohol if convicted. Unlike a misdemeanor, a felony conviction is harsher. As well a felony criminal conviction on your record can prevent you from keeping a job or getting new employment. It may seem ridiculous to be charged with a crime for taking medications that your doctor determined you needed and followed the instructions for. Below is a list of possible DUI Defenses. If your doctor told you it was fine to drive while on the medication that can be a DUI defense. The DREs although trained to some degree in detecting impairment don’t have the expertise of a physician, and their judgment can be brought into question. Our bodies metabolize drugs at different rates so what may have been impairing to one person may not impair someone else. Side effects of the medication can be introduced as defense evidence if suitable. The body also builds a tolerance to drugs over time. If you weren’t driving erratically, it might be that police didn’t have the necessary probable cause to suspect that you were driving while impaired and had no right to stop you. Other defenses may be available because each case is different in the circumstances involved. 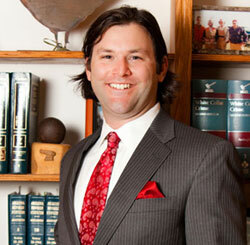 What does a DUI defense attorney do? Your defense attorney will meet with you to hear your view of events and then launch an independent investigation of the evidence against you to build the best defense possible. Your doctor can be summoned to testify and refute the state’s evidence, and your medical records can be introduced in evidence. Many people on the roads today are taking medications so Maricopa County jurors may be persuaded to have a reasonable doubt about the state’s case and that can end your case in an acquittal. If the state has a strong case, your attorney can negotiate with the prosecution to reduce the charge to a lesser offense with a mitigated sentence. The state often uses these negotiations to reduce the case load on the courts. Getting charged is a difficult time, and it is imperative that you don’t wait to hire an experienced DUI defense attorney. If you or someone you know are facing DUI charges as the result of prescription drugs in Maricopa County, AZ contact Maricopa County DUI Defense Attorney Aaron Black or call (480)729-1683 for a free consultation.